Kobe at IMEX America 2018! 2018.10.02 Kobe at IMEX America 2018! 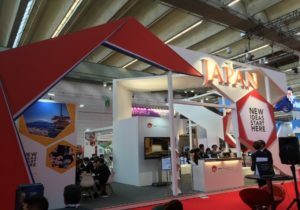 The Kobe Convention Bureau will be exhibiting at IMEX America in Las Vegas this year for the first time in four years. IMEX America takes place in Las Vegas, Nevada from October 16 -18. The Bureau is greatly looking forward to catching up with familiar faces and forging new connections during the show. You can find Kobe in the Japan booth, stand No. B4224. Even if you don’t have time to make an appointment, please feel free to drop by for a chat or just say hello during the show. We are looking forward to seeing you there and telling you why we think Kobe is a top events and meetings destination.